Jake Peterson's Blog » Is it a Val, a T6 a Plane? Is it a Val, a T6 a Plane? It looks like so many planes but which one is it? It’s both depending on who you ask. 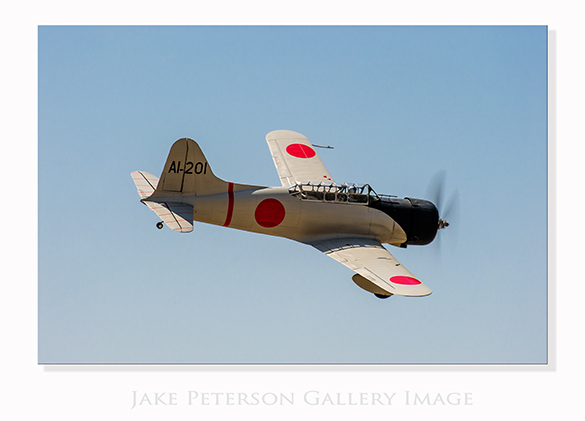 This is an Aichi D3A “Val” Dive bomber movie conversion. It was originally a Convair BT-15 Trainer but back in the 1960’s when they started making the film Tora! Tora! Tora! there was no example of flying Japanese aircraft, so the adjusted the BT-15 to make it look like a Val. The plane went into storage after the movie and didn’t see action again until Pearl Harbor. This plane flew in the movie along with 6 other aircraft from Planes of Fame. The original Aichi D3A Dive Bomber, called the “Val” by the allies was a carrier based dive bomber. It was the first Japanese aircraft to do damage to an Allied ship in WWII. It also sank more allied ships than any other axis aircraft. Although effective early on, by 1944 the Val was outdated and by 1945 it was used as a kamikaze plane from land based air fields.